Registration of CASA Members for South African Chiropractors. Keywords; registration of casa members. You may or may not know that this site has for some five years been seeking to promote DCs in South Africa. We have now uploaded all members of the Chiropractic Association of South Africa on our website, though each new graduating class needs to send me their details. Scroll down the NavBar to South Africa. Is your name missing? Have you recently graduated? So you recognise any name of someone who has passed away, emigrated or quit practice? Please let me know. Keeping the profession in the mind’s eye is vital in today’s world as more and more people are turning to the internet for information. What is Chiropractic? Who in my neck of the woods may be able to help me? Is it dangerous? Can Chiropractic help the pain in my foot? Informing your potential patients is what we are all about. We used the November 2009 list of CASA members in the first stages of this long and tedious process. Would you please check that the details of your practice are correct. This is vital. Please do it now! Today! There’s a once-off charge for being registered at Chiropractic Help. Once. There is no recurring charge year after year. Once. New graduates and chiropractors returning to South Africa may register for the usual One New Patient Fee. There will be absolutely no further charges. No charge to remove your name obviously should you have no desire to be listed. No contracts, keep it simple. That’s it in a nutshell. Chiropractors not registered with CASA will not be considered. If you have ever been a member of the CASA executive, there will be no charge to be registered at Chiropractic Help; just let me know via contact. If you are a current member of a regional executive there will be no charge. Just let me know. If you are over 60, and have been a member of CASA for at least ten years, there will be no charge even if you are no longer a member and are semi retired. Please let me know. Full time lecturers at our teaching faculties are exempt and will be registered without charge, should they so desire. Let me know. Registered members (those who have paid their once-off fee!) can build their own webpage at Chiropractic-Help.com including up to four photos of you and your clinic for no extra charge. This will greatly increase your exposure on the web. As an example, look at my own clinic webpage: Chiropractor Hilton Streetview. Yours wouldn't be as elaborate, but similar. What I can tell you is that my own clinic page received 405 hits last month. I get a substantial number of new patients every month from the internet. Two this week. 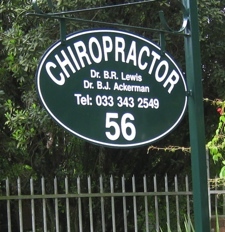 Chiropractor Cape Town City Centre; 404 hits. The South African figures are rising in leaps and bounds and it's gratifying to hear that some of you are already getting new patients from Chiropractic-Help.com. Chiropractic Help gets 10,000 hits per day. Up to a point I’m more than happy to adapt the page for your region to your satisfaction. 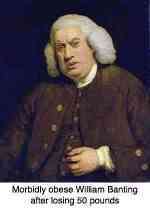 However, pleasing all members may prove impossible, and I reserve the right to determine the content. If there are Chiropractic Conditions that you would like to see at Chiropractic Help, I’d be very pleased to hear from you. I may ask you to help me write the content! The fee: a once off R500. In comparison, standard listing at Medical Pages is (Basic contact information, medical interests, qualifications, cell number, email, web address and logo) R3300.00 excl vat PER ANNUM. Over and above the offering from Medical Pages, Chiropractic Help enables you to build your own personalised Practice web page for no extra cost. Now, that's a bargain. Return from Registration of CASA members to Chiropractic Conditions.